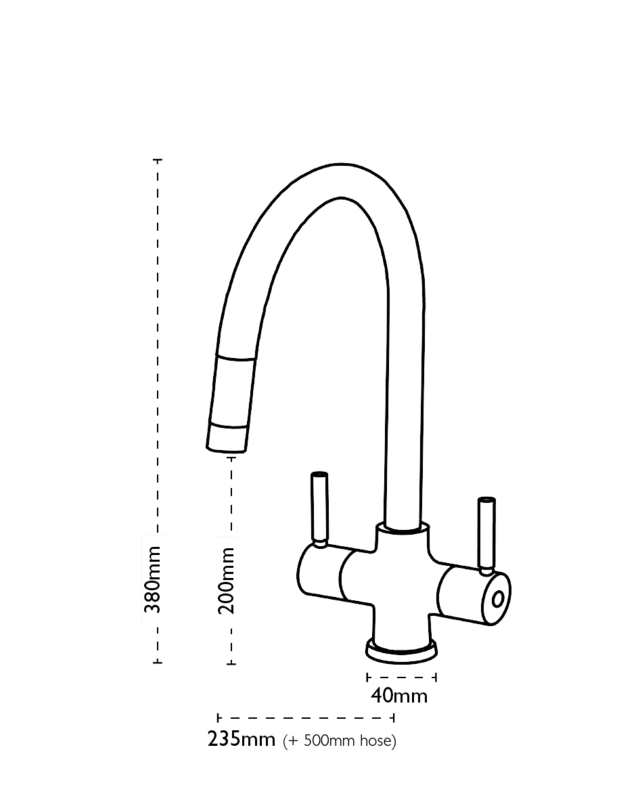 A graceful swan neck tap with added functionality; the spout pulls out for easy rinsing or filling. 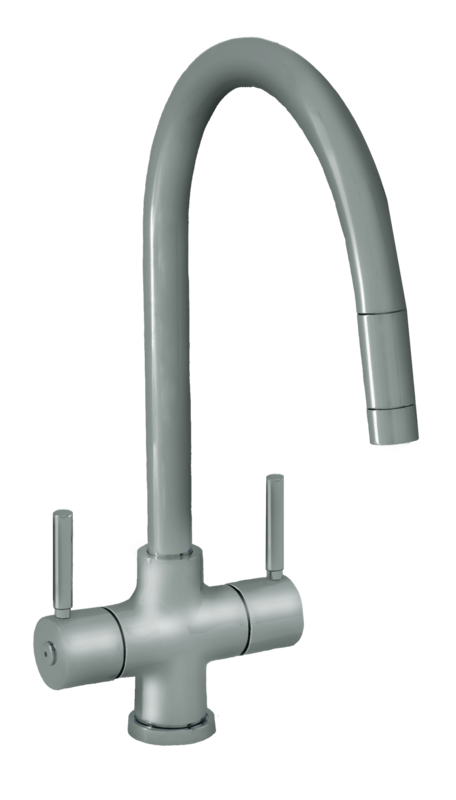 When the spray is retracted, Averon functions as a normal tap. Ceramic valves. Quarter turn action. Pull Out Nozzle.